Stylish finishes, light-filled spaces & an incredible location make this timeless unit, originally owned by the Building’s architect, an exceptional choice. Wide plank cherry floors; sweeps of slab granite countertops; ‘Chef’s Kitchen’ featuring cherry cabinetry & stainless steel appliances; dreamy master suite; guest bedroom; spacious library/office with French doors; storage and 2 car parking. 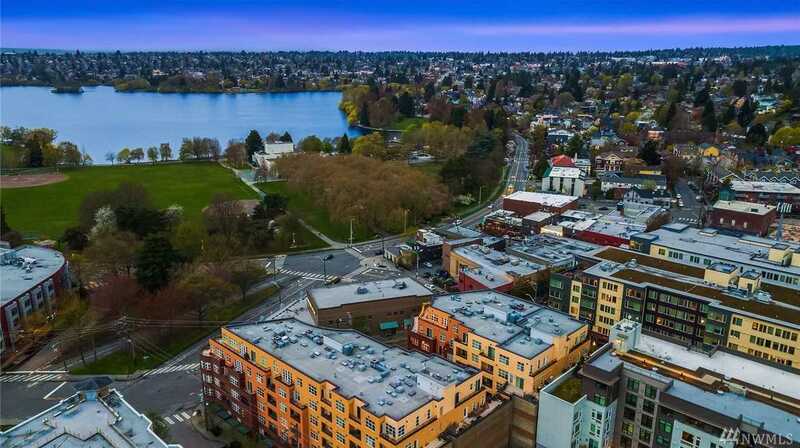 A rare offering with the recreation & fun of Green Lake & future light rail minutes from your door! Directions: Woodlawn and 71st, above Road Runner Sports. Entrance on North side of the building on 71st across from Pure Barre and next to Kids Science Lab.